Looking for a new home in Trophy Club? Join the Grove Team, Keller Williams this Sunday, November 10th from 3:00-5:00pm at 6 Round Rock Court. This lovely four bedroom, two bath home offers a funcational floorplan and over 2,100 square feet of living space. Built in 1986 there is so much to offer from the house to the town of Trophy Club - truly a package deal! Enjoy the small town feel that offers an active lifestyle strategically situated between Dallas and Fort Worth. Featuring over 1,000 acres of parks and trail systems, a 36-hole world class golf course, Frisbee golf course, a community swimming pool or a Splash Park and so much more. 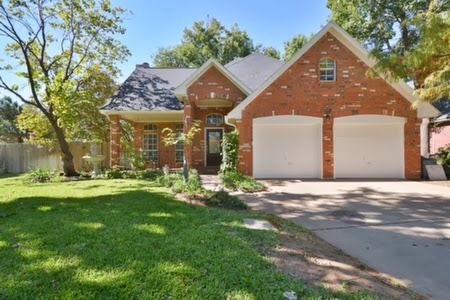 Award winning schools and a little bit for everyone - 6 Round Rock Crt. is a great find in a fantastic location. Visit our website to view more homes available for sale in the Alliance Corridor. For more information on this home or any other listed in the area, call the Grove Team-Keller Williams, (817) 337-0000 or find us online, groveteam.com.